Lets set a date for going to Flagler. I recommend later in the month. We need to play catch up on things, Lisa is starting school so I'm not sure what that is gonna bring but a lot of stress. I'm putting my vote in for the last weekend, gives me more chance to make sure this Shogun thing is operational. I plan on going on a Cherokee ride on the 21& 22 weekend but if u guys decide to go that weekend maybe ill go with u guys instead. That's the only weekend I can do anything. Where are the Cherokee s ridding at? 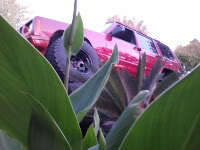 Lock~N~Low wrote: Where are the Cherokee s ridding at? Yeah, that got my attention too. I'm thinking that sounds like a great weekend to go. Frankie, is that where they were planning on riding? Wow, no one else wants to go wheeling? My oldest son is in football for another month and half, so weekend are a little busy lately. Set a date so we can put it on our calendars. Looks like the voting put it on the 21st and 22nd. Im not sure where the cherokee forum is riding. They have only set a date. It all depends on where it is if I go. Now I have two options with you guys planning this ride. Looking forward to riding around with you this time. Well, in my own vehicle this time. Hurry that thing up Nick. Have you been out to Flagler yet Nick? I work 21st / 22nd. Would be up for that following weekend. So what day did we decide on? Lil Pepè wrote: So what day did we decide on? 89WhiteXJ wrote: Hurry that thing up Nick. trying, but seems to be really time consuming work that i have to do to it. and i may be building a long arm kit for one XJ, and a 3linked 44/9" swap for another XJ sometime this month or next month, so time to work on mine will be rare. MudRaider wrote: Have you been out to Flagler yet Nick?